The board voted unanimously to grant residents’ appeal, which showed that developer iStar Financial had not started required construction of the 15-story oceanfront apartment within the first year. The Long Beach Board of Zoning Appeals granted a motion Thursday to revoke the building permit for developers to build two 15-story oceanfront apartment towers along the boardwalk. The zoning board voted unanimously to grant an appeal from Jim Kirklin and other residents, which showed that Manhattan developer iStar Financial had not met the building permit requirement to start construction within the first year. Zoning board members did not comment on the decision or the fate of height and density variances, which will be addressed in the board’s written decision in the next 60 days. The ruling will force iStar to halt all construction on the Superblock towers, where only a foundation permit was issued in 2015. The permit was extended twice by the building commissioner and is set to expire Monday. City officials said iStar was expected to appeal the board’s decision with the Nassau County Supreme Court, which ordered a review of the permit in January. City officials, citing pending litigation, had no comment. Developer iStar Financial had proposed spending $350 million to build the two towers with 522 luxury apartments and 11,000-square-feet of retail space along the boardwalk. Construction resumed at the site this week, where workers have been pile driving and using heavy equipment on the fenced off property next to the boardwalk. Last week iStar filed a $100 million lawsuit against Long Beach, alleging a breach of contract by the city for not supporting iStar’s request for a PILOT, or a payment in lieu of taxes, from the Nassau County Industrial Development Agency. Officials with iStar said they could not build the apartment towers without tax assistance. The IDA has twice turned down tax abatement applications from iStar, though developers said the IDA awaited backing from the city to grant tax reductions. Developers have asked for PILOTS of $129 million and $109 million, but planned to pay the full assessment after 20 years and $101 million in payments over 30 years. 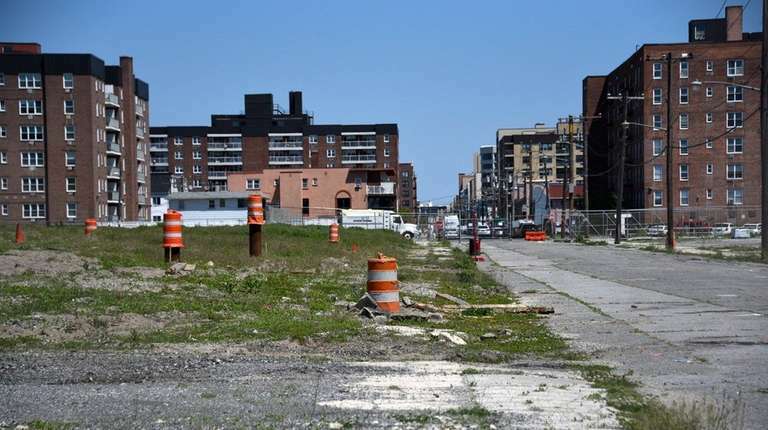 Officials with iStar said the city would generate $18 million in property taxes over 30 years if the land remained vacant and lose out on $7 million in annual projected property taxes once the project was completed.